I did something I’ve never done before. I burnt, badly, a pot of soup. I was making tortilla soup for my dad and completely spaced that I was even making it. The house was warm, smelled amazing, and then all of a sudden I realized something smelled like it was on fire… that would be my soup. Of course my mother was beyond angry with me but thanks to the wonderful guises of Facebook I was able to make enough connections to get a good suggestion on how to clean the pot. 5. Empty water and then scrub as usual. 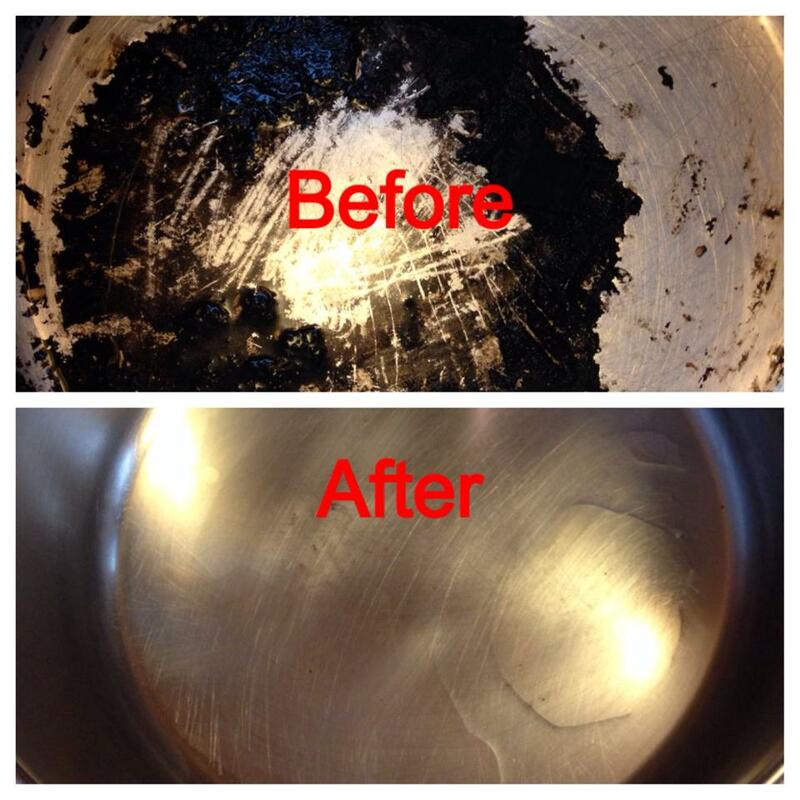 About ten minutes later my parent’s precious revere wear pot was spotless. I was pretty excited to fix the problem and not have to toss out a pot that my parents have quite literally owned my entire life. Image | This entry was posted in Domestics and tagged boil, burnt, cleaning, fail, help, pan, parenting, pot, single parenting, vinegar, winning, worries. Bookmark the permalink.